Doctors currently face several obst acles in treating tuberculosis (TB) in children that are made all the more threatening when dealing with the drug-resistant variety known as XDR TB. According to a case report published online today by specialists at Johns Hopkins Children’s Center in The Lancet Infectious Diseases, handling such a case may result in a successful outcome but it should also serve as a warning about the ongoing issues around available ways to monitor and treat pediatric cases. The first hazard is that there is a gap in reliable and fast diagnostic options for detected TB in children. This is because children’s bodies typically have lower amounts of the TB bacteria than adults, raising the chance of diagnostic tests resulting in a false negative. This is, in fact, what happened with the case of the child in question, who was experiencing a persistent fever and malaise after her family returned from a three-month trip to India. Even with a direct mucus sample, the toddler tested negative. It took four weeks to run the more accurate test that resulted in the tuberculosis diagnosis. Although there was some response to standard TB treatments, the child still had lung inflammation that was causing tissue death. It took a total of 12 weeks for the ultimate XDR TB finding to be made, emphasizing the need for rapid-return diagnostics. While the Johns Hopkins team did devise a treatment plan, they were faced with difficulties in how to monitor its progress. The lab tests that could track progress would take weeks to perform and the nature of the infection meant that clinical monitoring wouldn’t show how the lungs were doing. It took a mix of CT and PET scanning to offer something approximating real time tracking of the disease. What is interesting is that this method contradicts what would normally be conventional wisdom—that imaging tests are slower than symptom changes. Instead, the opposite proved to be true. The imaging showed decreasing inflammation and bacterial presence several weeks before the child’s observable symptoms eased up. The child in question was two-years-old when she was first admitted. She is now five and is considered in remission, though her condition will be followed for another two years out of heightened caution. This positive outcome can serve, as the Hopkins team believes, as an indicator of how pediatric diagnosis and treatment monitoring can improve to ensure more timely results and interventions. Drug resistant strains of tuberculosis have been on the rise in the past several years. It is difficult to determine the exact number of children who contract the disease—drug resistant or not—because of how hard it is to confirm the infection in pediatric patients. 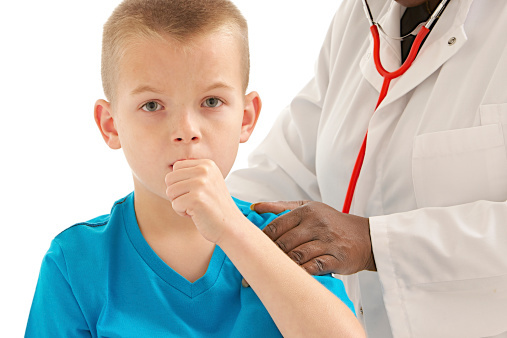 There are only a handful of observed cases of children under age five with TB in existing medical literature. “Child with Drug-Resistant TB Successfully Treated at Johns Hopkins Children’s Center,” John Hopkins Children’s Center web site, November 15, 2015; http://www.hopkinsmedicine.org/news/media/releases/child_with_drug_resistant_tb_successfully_treated_at_johns_hopkins_childrens_center. Salazar-Austin, N., et. al., “Extensively Drug-resistant Tuberculosis in a Young Child after Travel to India,” The Lancet Infectious Diseases, no. 12 (2015): 1485-491; doi: http://dx.doi.org/10.1016/S1473-3099(15)00356-4.